Islam is waging a war of extermination against all who refuse to submit to its tyranny. 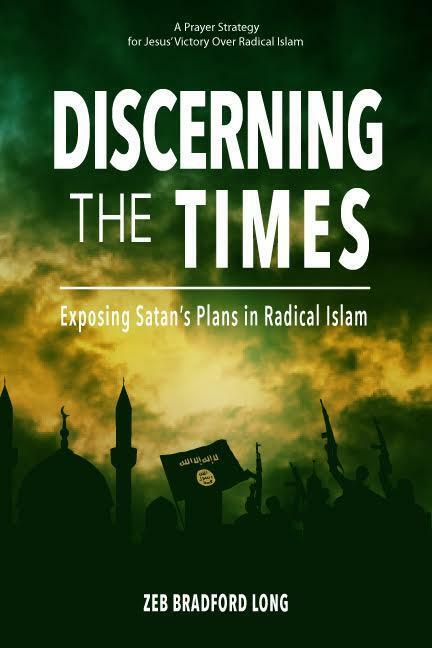 I provide ample evidence to support this often-suppressed truth in my book, Discerning the Times: Exposing Satan’s Plans in Radical Islam. Frankly, you will not understand the reality of the dire threat that Islam poses to the Body of Jesus Christ, to the Jewish people, and indeed to all of Western Culture until you read that book. Better still, read Robert Spencer’s excellent new book, The History of Jihad: From Mohammad to ISIS. Please understand I am not talking about individual Muslims posing a threat but rather a radicalized doctrine within the religion of Islam which drives people through fear, shame and anger to commit violence. 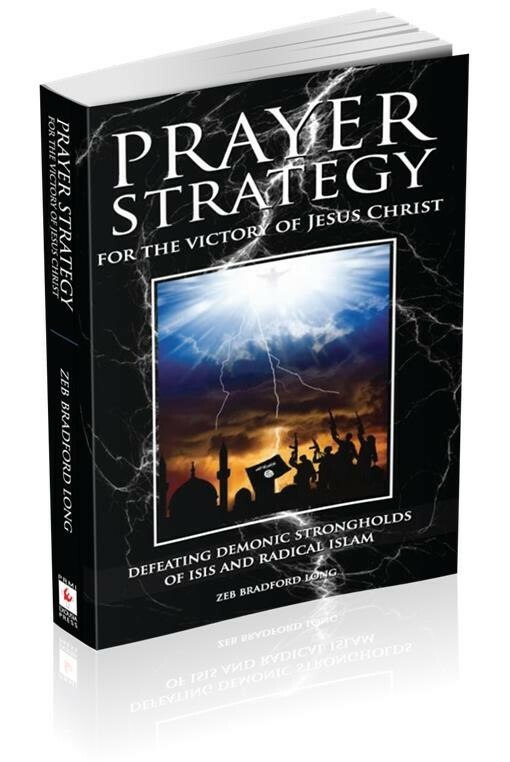 After you have looked into the abyss of evil, please pick up my other book, Prayer Strategy for the Victory of Jesus Christ: Defeating the Demonic Strongholds of ISIS and Radical Islam. In it, I present the prayer strategies and tactics that the Holy Spirit is calling intercessors to deploy in order to defeat the nemesis of Islam. For some time we have been caught up in prayer for the United States of America and the demonic strongholds based on the lies of Marxism. We have received two reminders, however, that this prayer battle concerning the threat of Islam has in no way diminished. This one came through the plight of Asia Bibi, a Christian woman who has been imprisoned in Pakistan for eight years. She has been in solitary confinement due to an accusation of blasphemy against Mohammad. The conviction for blasphemy in Pakistan carries the death penalty. The reality of Bibi’s situation came home to me back in October while I was with the Rev. Nobel Samuel. Nobel is originally from Pakistan, but because of threats against his life he and his family moved to London, England. He has an amazing Gospel TV show on Bible TV. His show, in both Urdu and English, is broadcast to an audience of potentially 45 million people. Among his audience are many Muslims and Hindus who are seeking the truth of the Gospel. Noble and I were at the Community of the Cross. We were filming in Urdu. Noble presented the Presbyterian Reformed Ministry International’s Dunamis Project 2, In the Spirit’s Power, which presents the gifts of the Holy Spirit. Our videotaping was interrupted by the good news that the Supreme Court of Pakistan had ordered the release of Asia Bibi from prison. The next day, however, mobs of radical Muslims filled the streets of Pakistan’s cities to protest her acquittal and demand her death. Nobel Samuel received desperate calls from Christian friends and relatives living in Pakistan and England. They asked for prayers of protection and for guidance on what to do in the face of the backlash. Nobel showed me video clips over the Internet of the Islamic leaders in Pakistan calling for the murder of Christians. I felt chilled as Nobel translated from Urdu what the leaders incited their followers to do to Pakistani Christians – “go into their homes and kill them!” I watched as fanatical mobs shouted, “Allah is Greater!”, “Hang Asia,” and calling for jihad against Christians. I felt the evil and power of Satan, even at the safe distance of the other side of the world. I can only imagine what it has been like for Christians in Pakistan: Christian families barricaded in their homes with their terrified children, listening to hate speech shouted in the streets outside their door or watching the mobs on national TV. I tried to capture the situation in Pakistan through this video in which I interview Nobel Samuel. As you watch the video, ask the Holy Spirit to reveal to you how to pray for Asia Bibi and for the defeat of this stronghold of death at the heart of Islam. The stronghold threatens the entire body of Jesus Christ and the Jewish people. The second reminder came through the news from Egypt on November 11, 2018, as reported by Raymond Ibrahim. Here are some highlights from the article. The savagery of the attack exposes the true motivation behind this atrocity and reveals Satan’s intentions as expressed through the demonic strongholds based on Islam. Satan intends to either force everyone into subjugation to the deception of Islam or exterminate them. I realize this bald statement may sound shocking, but it is a conclusion I have come to after years of prayer, research and team-based discernment. Pray for clear discernment about how to overcome the demonic strongholds based on Islam which are seeking to destroy both Jews and Christians. Pray for Imran Khan, the Prime Minister of Pakistan, General Qamar Javed Bajwa, the Chief of the Army in Pakistan, and Saqib Nisar, the Chief Justice of Pakistan. Pray for these men as they deal with the protests and calls for the death of Asia Bibi and other Christians. These men have received death threats because of Asia Bibi. The threats are real. So far, two prominent Muslim Pakistani politicians, Salman Taseer, Punjab Provincial Governor, and Shahbaz Bhatti, Federal Minister for Minorities, have been murdered because they advocated for Bibi. Lift up Asia Bibi and her family. Pray for their protection and that they would be granted asylum in the United Kingdom, the United States, or Canada. Jesus calls his followers to “love your enemies and pray for those who persecute you,” (Matthew 5:44). So, pray for the Lord to reveal himself in his mercy and grace to those who are seeking jihad against Christians. Pray for the Lord to bless the outreach work of Rev. Nobel Samuel and Bible TV in both the United Kingdom and Pakistan. Pray that believers would be strengthened in their faith as they face increased persecution. As always get back to us with any discernment you may have as soon as possible so we can stay on track with the guidance of the Holy Spirit. Last week I informed the world cohort that Matthew Hedges in the UK has been sentenced to life in prison, which is about 25 years. He is a student doing research for his PHD, and as it was to do with military etc he was arrested some 5-6 months ago. This was the first we knew about it. We prayed and Have had an answer to prayer he has received a pardon and will hopefully be released in a few days. Please note new email address!